^ 2.0 2.1 Ernest Rutherford. Chemed.chem.purdue.edu. Retrieved on 2012-08-16. ^ 4.0 4.1 4.2 4.3 4.4 4.5 Mohr, P.J. ; Taylor, B.N. and Newell, D.B. (2011), "The 2014 CODATA Recommended Values of the Fundamental Physical Constants" (Web Version 6.0). The database was developed by J. Baker, M. Douma, and S. Kotochigova. (2016-12-15). National Institute of Standards and Technology, Gaithersburg, MD 20899. ^ Rutherford, E. Bakerian Lecture. Nuclear Constitution of Atoms. Proceedings of the Royal Society A: Mathematical, Physical and Engineering Sciences. 1920, 97 (686): 374. Bibcode:1920RSPSA..97..374R. JSTOR 93888. doi:10.1098/rspa.1920.0040. ^ 6.0 6.1 6.2 Brown, Laurie M. The idea of the neutrino. Physics Today. 1978, 31 (9): 23. doi:10.1063/1.2995181. ^ V. A. Ambartsumian— a life in science (PDF). Astrophysics. 2008, 51 (3): 280. Bibcode:2008Ap.....51..280T. doi:10.1007/s10511-008-9016-6. ^ Ambartsumian and Ivanenko (1930) "Об одном следствии теории дирака протонов и электронов" (On a Consequence of the Dirac Theory of Protons and Electrons), Доклады Академии Наук СССР (Doklady Akademii Nauk SSSR / Proceedings of the USSR Academy of Sciences) Ser. A, no. 6, pages 153-155. Available in Russian on-line. ^ Bothe, W.; Becker, H. Künstliche Erregung von Kern-γ-Strahlen [Artificial excitation of nuclear γ-radiation]. Zeitschrift für Physik. 1930, 66 (5–6): 289. Bibcode:1930ZPhy...66..289B. doi:10.1007/BF01390908. ^ Becker, H.; Bothe, W. Die in Bor und Beryllium erregten γ-Strahlen [Γ-rays excited in boron and beryllium]. Zeitschrift für Physik. 1932, 76 (7–8): 421. Bibcode:1932ZPhy...76..421B. doi:10.1007/BF01336726. ^ Joliot-Curie, Irène and Joliot, Frédéric. Émission de protons de grande vitesse par les substances hydrogénées sous l'influence des rayons γ très pénétrants [Emission of high-speed protons by hydrogenated substances under the influence of very penetrating γ-rays]. Comptes Rendus. 1932, 194: 273. ^ Chadwick, J. Bakerian Lecture. The Neutron. Proceedings of the Royal Society A: Mathematical, Physical and Engineering Sciences. 1933, 142 (846): 1. Bibcode:1933RSPSA.142....1C. doi:10.1098/rspa.1933.0152. ^ Chadwick, James. Possible Existence of a Neutron. Nature. 1932, 129 (3252): 312. Bibcode:1932Natur.129Q.312C. doi:10.1038/129312a0. ^ Pear-shaped particles probe big-bang mystery (新闻稿). University of Sussex. 20 February 2006 [2009-12-14]. ^ SNS Neutron EDM Experiment 互联网档案馆的存檔，存档日期2011-02-10.. P25ext.lanl.gov. Retrieved on 2012-08-16. ^ Miller, G.A. 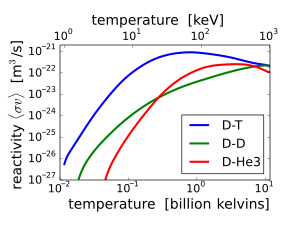 Charge Densities of the Neutron and Proton. Physical Review Letters. 2007, 99 (11): 112001. Bibcode:2007PhRvL..99k2001M. doi:10.1103/PhysRevLett.99.112001. ^ Physicists say they’ve finally confirmed the existence of a 'four neutron-no proton' particle. sciencealert.com. sciencealert.com. [2016-04-11]. ^ Nigel Orr. Can Four Neutrons Tango?. http://physics.aps.org/. American Physical Society. [2016-04-11]. ^ Byrne, J. Neutrons, Nuclei, and Matter, Dover Publications, Mineola, NY, 2011, ISBN 978-0-486-48238-5, pp. 32–33. ^ Science/Nature | Q&A: Nuclear fusion reactor. BBC News (2006-02-06). Retrieved on 2010-12-04. ^ Byrne, J. Neutrons, Nuclei, and Matter, Dover Publications, Mineola, NY, 2011, ISBN 978-0-486-48238-5, p. 453. ^ Heilbronn, L.; Nakamura, T; Iwata, Y; Kurosawa, T; Iwase, H; Townsend, LW. Expand+Overview of secondary neutron production relevant to shielding in space. Radiation Protection Dosimetry. 2005, 116 (1–4): 140–143. PMID 16604615. doi:10.1093/rpd/nci033.